(Seychelles News Agency) - Air Seychelles has announced the imminent departure of its current Chief Executive Officer, Manoj Papa, and the consequent appointment of his successor, Roy Kinnear, effective from July 1. 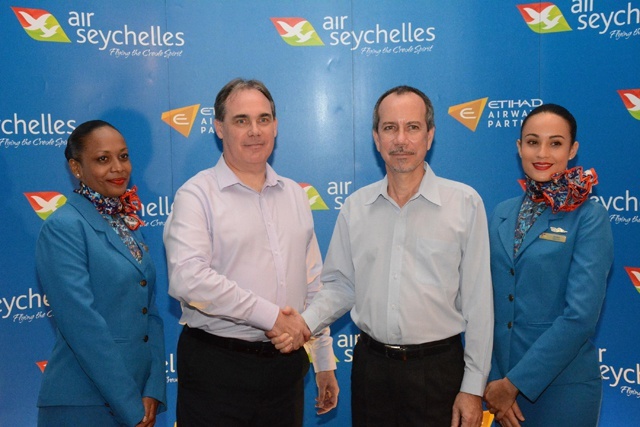 The surprise announcement was made by the chairperson of the Air Seychelles board, Joel Morgan, at a press briefing at Eden Bleu hotel on the Seychelles’ main island of Mahé on Thursday morning, flanked by both the incoming and outgoing CEOs. Morgan, who is also the Seychelles’ Minister for Foreign Affairs and Transport, praised Papa for the ‘remarkable’ results he has achieved in the 18 months since he was appointed in January 2014, and said the change of leadership decision had been taken ‘mutually’ between the Air Seychelles board and Papa in line with the airline’s strategic objectives. 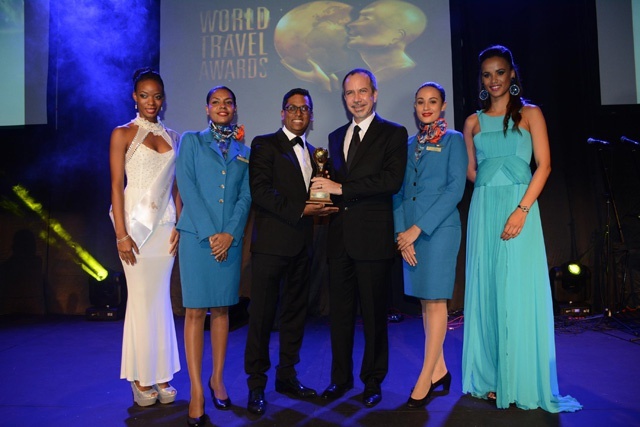 The announcement comes hot on the heels of the airline receiving three prestigious World Travel Awards last week, with the airline bagging the coveted recognition of Best Airline in the Indian Ocean. 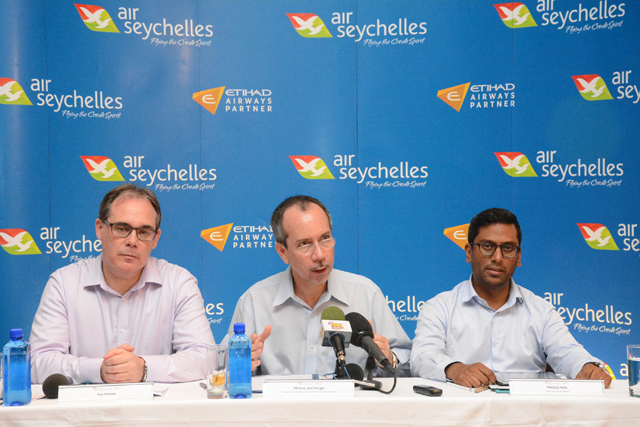 Air Seychelles is also gearing up for the launch of its new non-stop flights to Paris, France on July 1, which according to Minister Morgan, bears no direct relation to the appointment of the new CEO and was ‘purely coincidental’. Incoming CEO Roy Kinnear is an expert in revenue management, and comes to the national airline of the Seychelles archipelago from Air Seychelles’ strategic partner, Abu Dhabi-based Etihad Airways, where he previously held the position of Senior Vice President of Revenue Management and Planning since 2011. 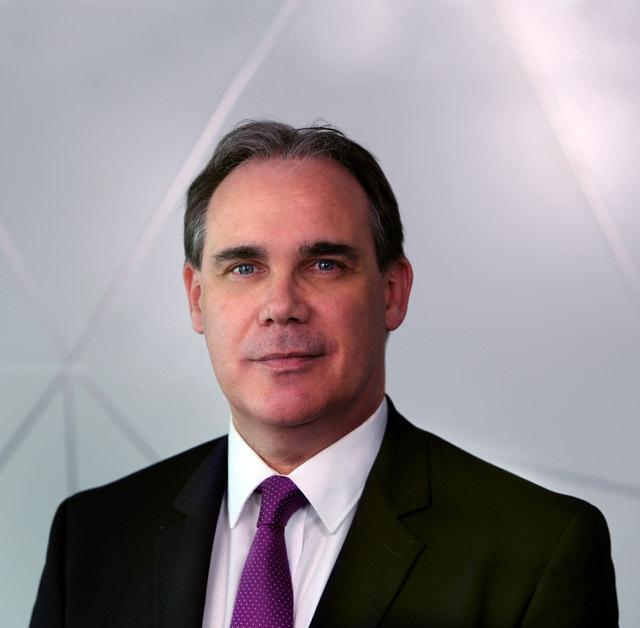 The new chief executive is expected to use his extensive experience in leading Etihad’s revenue management, inventory control, pricing, and revenue forecasting to drive sales and extend Air Seychelles’ network deeper into Europe and Asia. “I’m truly honoured to be named as the new chief executive officer of Air Seychelles,” said Kinnear, adding that he was delighted to bring his experience to Air Seychelles along with the existing team and strong workforce that Papa had built. Kinnear said he would set his priorities on growing Air Seychelles’ inbound sales, extract more value from the airline’s existing partners, and concentrate on nurturing and developing local talent within the airline. “Air Seychelles is one of the world’s iconic airlines, given its home base in this beautiful archipelago, and with the launch of nonstop flights to Paris next week, there is a lot to be positive about,” said Kinnear. In line with questions concerning revenue, Morgan announced that according to the Air Seychelles’ Board’s strategic plan, Air Seychelles was expected to be completely financially self-sufficient by 2017, and would by then no longer require regular capital injections from its shareholders. According to their latest audited financial statements, in 2014, the national airline’s revenue totalled $106.9 million, while their operating, administrative and marketing costs totalled $125.4 million, representing an operating loss of $18.5 million, explained by auditors as initial losses from the large capital investments required by the opening up of new aviation routes. The carrier’s shareholders, the Seychelles government and Etihad Airways, contributed a total of $23.4 million to cushion the shortfall in 2014. The Executive Board of Directors at the International Monetary Fund (IMF), which in its latest statement on the conclusion of its 2015 Article IV Consultation with Seychelles, on Wednesday encouraged the Seychelles authorities to “push ahead” with its strategy to improve the financial performance of their public enterprises, a strategy which Minister Morgan says the airline is already working towards. “At the moment we are experiencing a tremendous growth plan; we are going into many new networks that we have launched, and these take time to generate returns on the capital investment and the operating costs that these networks present,” he added. Minister Morgan told the press that the leadership change was necessary due to the constantly-evolving requirements of the fast-moving airline industry, and added that bringing in a new CEO with a different skillset was necessary to sustain the long-term growth of the airline. “Air Seychelles has come a long way, since the beginning of the new partnership with Etihad in 2012. Three and a half years down the line, we have seen the achievements that the airline has been able to bring about,” he said. “We have re-started our international routes, we have extended our regional network significantly, and we are mapping out new routes for the future; primarily towards China,” he added. After Etihad invested $45 million in a 40 percent stake of Air Seychelles in 2012 after the archipelago’s national carrier, which until then was wholly owned by the Seychelles government, ran into financial difficulties. Today, Air Seychelles serves regional destinations of South Africa, Madagascar, Mauritius, Tanzania and the Etihad hub of Abu Dhabi, as well as destinations further afield such as Paris, Mumbai, and Hong Kong. “All of these achievements have been put in place, have been done over a short space of three and a half years. I think by any standards it is remarkable. And it is testimony to the capacity, the capability of the CEOs that have been in position at Air Seychelles during that time,” said Morgan, referring to both Papa and his predecessor Cramer Ball, who left Air Seychelles at the end of 2013 to take up a position at the helm of another Etihad strategic partner, India’s Jet Airways. Ball, who is generally regarded as a ‘turnaround specialist’, was credited by Minister Morgan for what he termed the ‘mammoth task’ of consolidating Air Seychelles’ position and establishing a solid financial foundation upon which Papa was brought in to develop a second stage of further growth and expansion. “Manoj has been able to take Air Seychelles from where Cramer handed it over to him, and he has achieved such a tremendous amount during that time,” said Minister Morgan, adding that Papa had also brought about dramatic changes within the airline itself by introducing a strong performance-based culture to the staff at Air Seychelles and implementing a much-improved ticket reservation system. Minister Morgan said it was one of Air Seychelles’ objectives to develop its local workforce enough to be able to appoint a Seychellois CEO, but said that the time had not yet arrived. Addressing the media, Papa said that he believed he had achieved everything he had set out to achieve during his tenure as CEO, adding that he believed that Air Seychelles today was a much stronger airline than when he was first brought on board. “We have strong fundamentals as part of the business, and in my last 18 months as CEO, together with the team at Air Seychelles, we were able to build a very strong foundation. We managed to align our business to the needs of our customers, the needs of our people, we re-looked at our processes and we focused on the financial situation, but one of the things that stood out for me in the last 18 months is the immense growth of the airline,” said Papa. Papa, who was previously the Acting Managing Director: Commercial Operations at South African Airways, said that he had worked with Kinnear previously, and believed he was the “right guy for the job”. Wishing his successor all the best, Papa said he was looking forward to returning home to South Africa and was ready for the “next phase” in his career. Papa said he would take away with him some great memories from Seychelles, noting that the Seychellois people had “accepted him as one of their own”.